Alright, so I’m a bit behind with this post but I wanted to do a quick write-up of our (my husband and I) trip to Syracuse a bit ago! On a snowy Saturday afternoon, we did the just-over-two-hour drive across the state to Syracuse! I’ve been through the city before (mostly passing by on car or via bus) but never been through, so this was a nice change of pace without going too, too far from home. 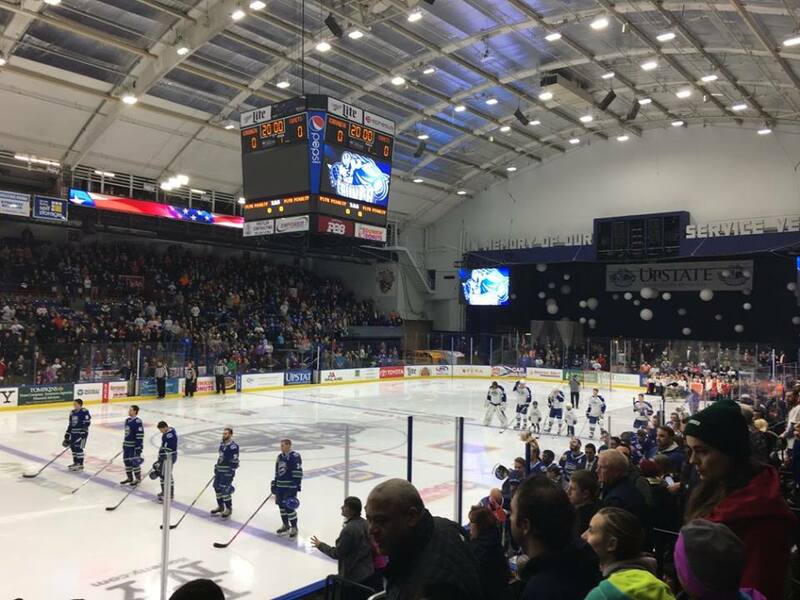 Our first venture in Syracuse was the Crunch game against the Utica Comets! As big hockey fans, it’s always nice to check another rink off the list. I loved the dome interior at the Oncenter, and (as usual) gave myself the time to do a couple laps around the different levels. I don’t know what I was expecting, but I thought the war memorials/museum pieces were really interesting. It’s like you’re walking through the throngs of a hockey-focused crowd and then… there’s a historic military clothing display, or names on the wall of veterans. At one point, I walked by an open doorway that led into some sort of performance space, where someone was practicing ballet. It seemed a little random, but hey, I can roll with it. The game itself was neat. The team did a Teddy Bear Toss, and we got to participate! The team had actually bought lots of little stuffed animals and left them on seats all around in case you forgot to bring one. I got a laugh out of watching all the bears, etc. fly onto the ice around the players and refs. I also found out after the fact that Ryan & I were shown on the Time Warner Cable broadcast of the game, so that was neat. I ended up being able to watch the broadcast of it on replay a few days later and so we saw ourselves! Just a little bit weird. Anyways, our hotel: Hotel Skyler. It was pretty great. I thought it was fascinating because it’s LEED platinum, which essentially means it’s INCREDIBLY energy efficient. When you open your hotel door, the lights don’t come on until you’ve put your room key in a specific slot by the door. It’s a nifty way of keeping the lights on only when you’re in the room so as not to waste electricity. The charm of the hotel overall was a pleasant surprise. It was warm and welcoming, with a fireplace in the lobby/breakfast nook, a comfy bed and just…. a warm demeanor overall. The breakfast, included, was nothing fancy, but free parking and free WiFi plus *some* kind of decent free food is all I ask for when it comes to hotels. (Well, and a nice room, obviously). I definitely recommend this place for anyone heading to ‘Cuse and would absolutely stay there again! 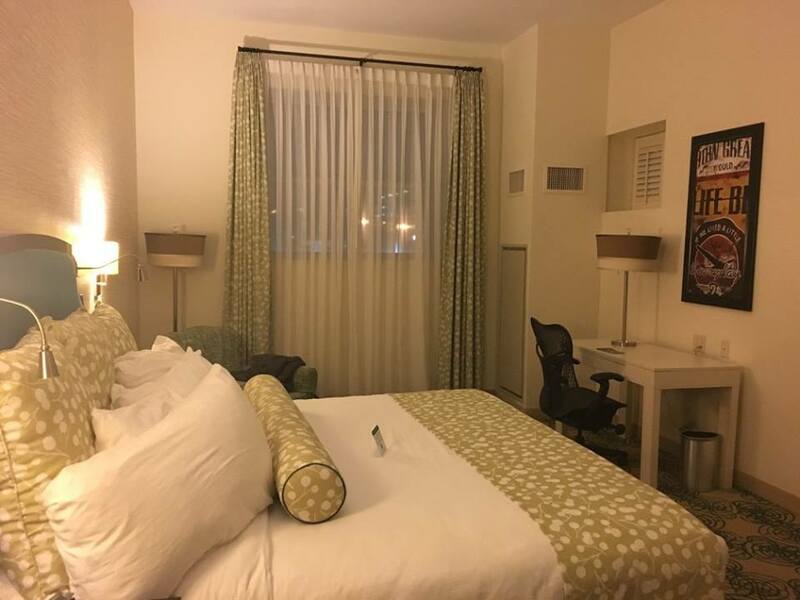 *I guess I should note that I booked our hotel through Hotels.com and used my free night, so I only ended up paying roughly $20 out of pocket. Also, there is a designated parking lot with in/out privileges with your room card, but it’s not a covered garage, so if it’s winter, expect to brush your car off. In addition, there’s only one entrance to the hotel (no back entrance) so you have to trek from the parking lot a little bit. The following day, we stopped at Destiny USA, an insanely-large shopping center in Syracuse. It was huge! I’d need lots of money and time to properly cover the whole thing, but we did our best to walk most of it and get a feel for things. Very neat, with some stores we don’t have here in Buffalo. 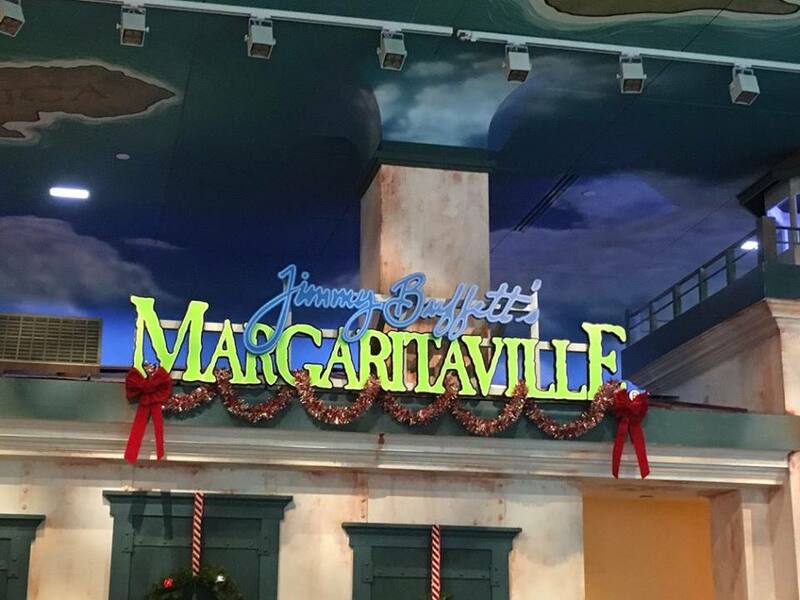 In the end, we ended up buying only one thing (a new ornament for our Christmas tree) and had lunch at Margaritaville before heading back home… in more snow. So – in a nutshell, our trip to Syracuse. Can’t wait to see where our travels take us next!